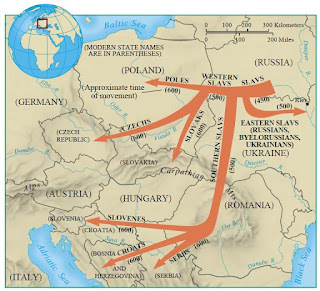 Despite voicing PC views, Jean Manco's study "Ancestral Journeys" shows that Europe has always been a land of the European race and that almost all the migrants came from within Europe. 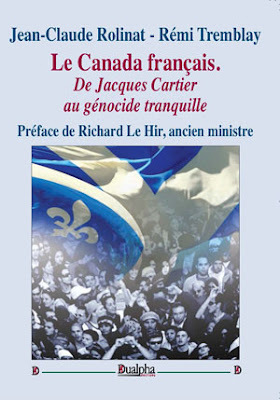 No longer satisfied with spreading the misleading view that Canada, Australia, New Zealand, and America were created by immigrants, when in fact they were created by pioneers, nation-builders, and native Europeans, our traitorous elites are now claiming European nations were immigrant from the beginning of time. They want us to believe that the recent massive influx of Africans, Muslims and Asians is a continuation of patterns going back thousands of years. Don't you believe them; academics and mainstream journalists have been trained to deceive. I wrote earlier in CEC that an accumulating body of data is showing that the European race evolved relatively recently in the continent of Europe and that immigration to Britain was negligible through most of her history. I will argue now that there is strong genetic evidence showing that once a European race emerged it did not experience any major genetic mixing from non-European races other than some mixing with Caucasoid Neolithic arrivals from the Near East who moved across the Mediterranean from 7000 BC onward, into Sardinia, Corsica, the coasts of Italy, Spain and Portugal, as well as inland into Greece/Balkans from around 6200 BC. 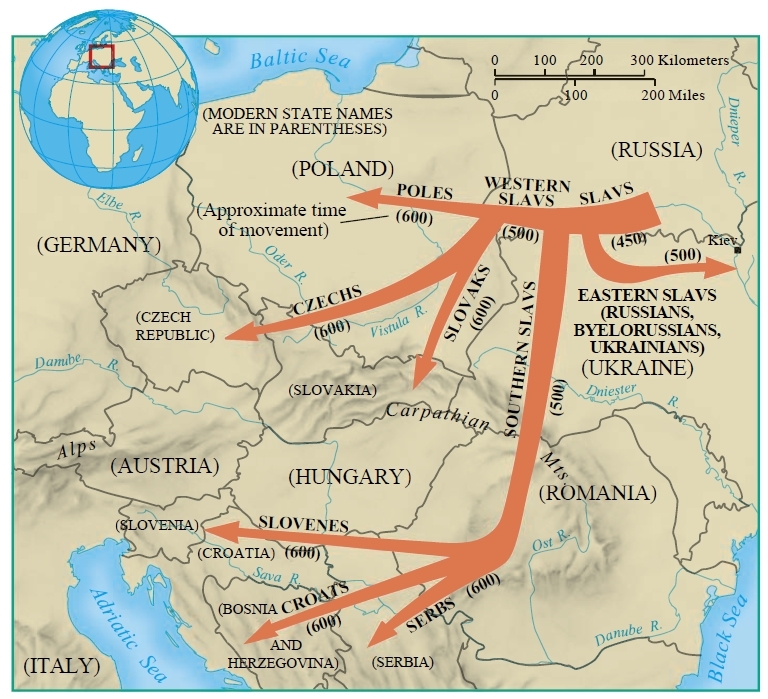 The farming lifestyle brought by Near Eastern farmers would transform the way of life of most Europeans by 4000 BC, but in extensive areas of north-central Europe the spread of farming involved barely any migration and more a movement of farming ideas. 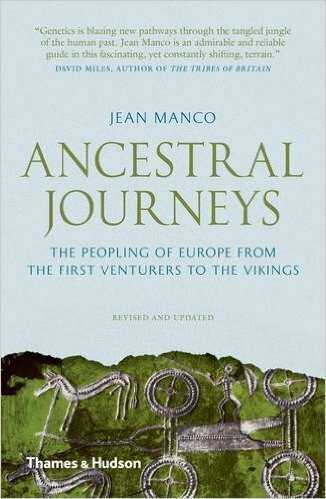 This is the message that comes across the most in-depth book thus far on the genetic history of Europeans: Jean Manco's Ancestral Journeys: The Peopling of Europe from the First Venturers to the Vikings (2013). This book draws on the recent ability of geneticists to trace ancestry and human migrations by studying two types of DNA, mtDNA, which traces direct chains of descent from mother to maternal grandmother, and Y-DNA, which traces descent from father to paternal grandfather. Using this technique it investigates the 'peopling' of Europe from the 'first Europeans' all the way to the Viking era. 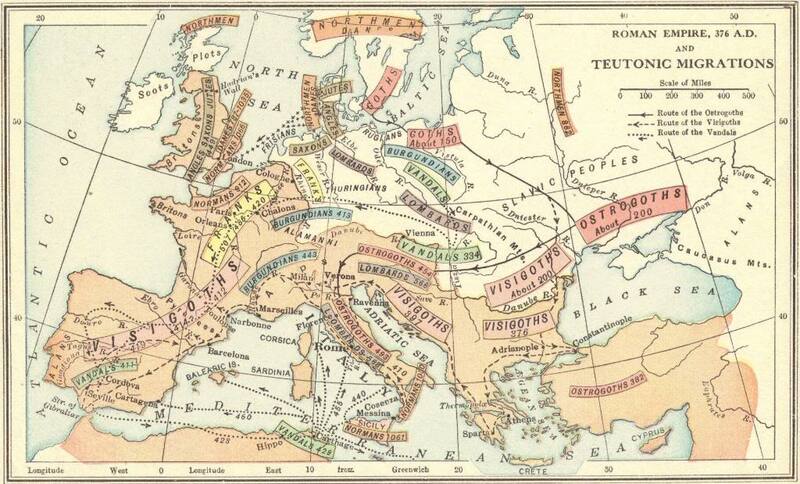 Europeans have been racially homogeneous through most of their history. Manco avoids any discussion of race, the word does not even come up, but in a rather revealing passage in which she refers to the facial reconstruction by Richard Neave of the 40,000-35,000 old skull discovered in Romania, which portrayed the 'first European' as a 'mixture of modern western Eurasian, East Asian and sub-Saharan African', she slips the following scientific judgement: 'The continental differences we see today had yet to evolve. '4 That is, the continental differences in racial features between the populations of the continents of Europe, Asia, and Africa had yet to evolve; the evolutionary account I offered earlier leading to the emergence of a unique European race had yet to emerge. But Manco does not get into this evolution; nevertheless, I can safely say, on the basis of Manco's own observations about migration patterns, that barely any race mixing took place in Europe other than the mixing occasioned in the south through the arrival of Near Eastern farmers. Below is an outline of Manco's observations. Manco says there is no sign of Neanderthal blood in the 'few Paleolithic Europeans whose mtDNA has been retrieved or in people living today'.5 From the time Paleolithic hunters first arrived in Europe some 45,000 years ago until the first farmers arrived after 7000 BC, Manco's only example of DNA from outside the continent of Europe interacting with Europeans comes by way of the speakers of Uralic languages spread through Baltic Europe into Russia-Asia. 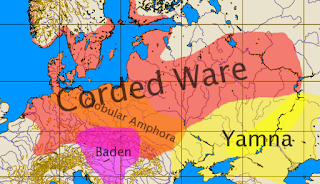 After emphasizing the mixture brought by Near Eastern farmers, particularly in some southern areas of Europe, she highlights the arrival of dairy farming into the Funnel Beaker culture in the North European plain (4300 BC-2800 BC), by way of the Late Cucuteni-Tripolye culture, an Indo-European culture located near the Black Sea. Manco not only emphasizes the importance of the Yamna spread into Europe, but shows the intimate cultural, linguistic and genetic connections between current white Brits and the Bell Beakers people who brought the Bronze Age into the British Isles and laid the Celtic foundations of Britain. 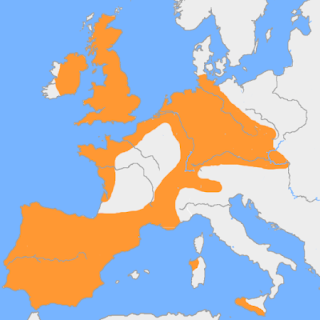 In other words, the Celtic ancestry of Britain is connected to the Indo-European folk movement out of the steppes, the Corded War and Yamna horizon, and directly to the Bell Beaker culture (2700-2000 BC), which spread over a large area of Europe, and is presumed to have spoken a Proto-Italo-Celtic language. The Bell Beaker culture brought the Bronze Age to the Isles around 2400 BC, and there melded with the descendants of the hunter-gatherers who had come back to Britain after the last Ice Age 12,000 years ago. Likewise, Manco shows that the Angles and Saxons who colonized Britain around AD 400-600 came from the Proto-Germanic Corded Ware and Bell-Beaker cultures that had melded during the Nordic Bronze Age (1730-760 BC) in Jutland, or what is present day Denmark, and the coasts of Norway and Sweden (where they had in turn melded with the descendants of the Funnel Beaker and Ertebolle cultures). 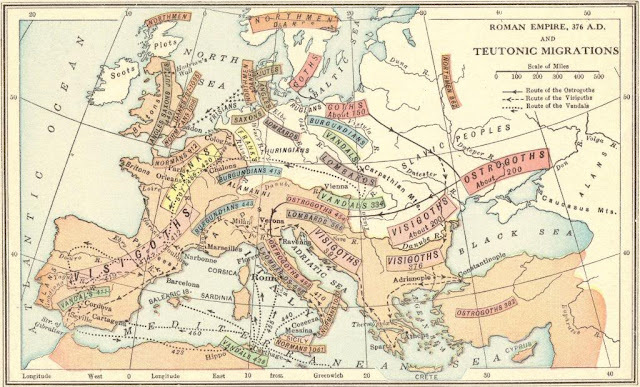 Thus, for all the 'anti-migrationist' thinking Manco adheres to, in conformity with the expectations of the cultural world she operates within, the essential message that we should take from her book is that Europeans have remained a very cohesive race through their entire history, apart from some Caucasoid input from the Near East. Manco's correct observation that Europeans were a restless people predisposed to mobility in no way supports any notion about 'waves of immigrants' coming into Europe from the outside. Rather, as I argued in Uniqueness of Western Civilization, the restlessness of Europeans was originally grounded in their dairy pastoralism, wheel-vehicle and horse-riding techniques, combined with their magnificent aristocratic spirit. Mass immigration into Europe is a phenomenon of post WWII promoted by our current traitorous elites. The elites in charge of our precious heritage have no qualms lying and misusing science to promote white genocide. We need to reply back with complete confidence that Europeans evolved in the course of time inside Europe and have remained European through almost their entire history.